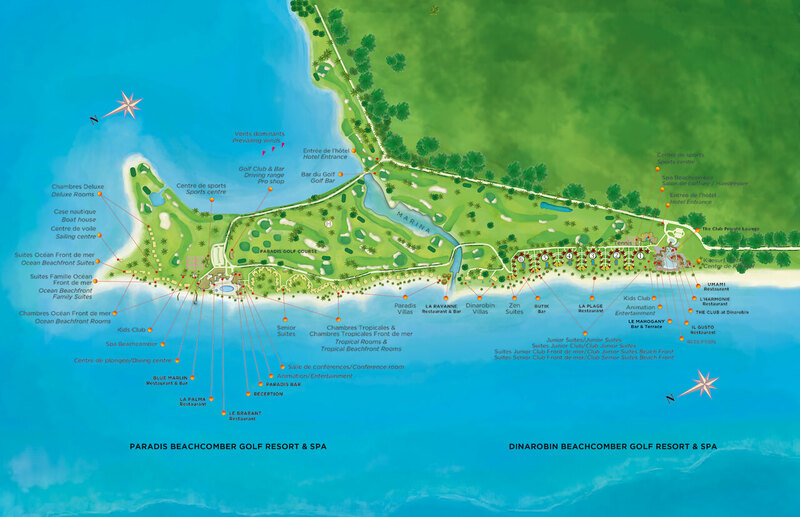 Endless beaches, palm trees, lots of sun, warm climate and fantastic golf courses. 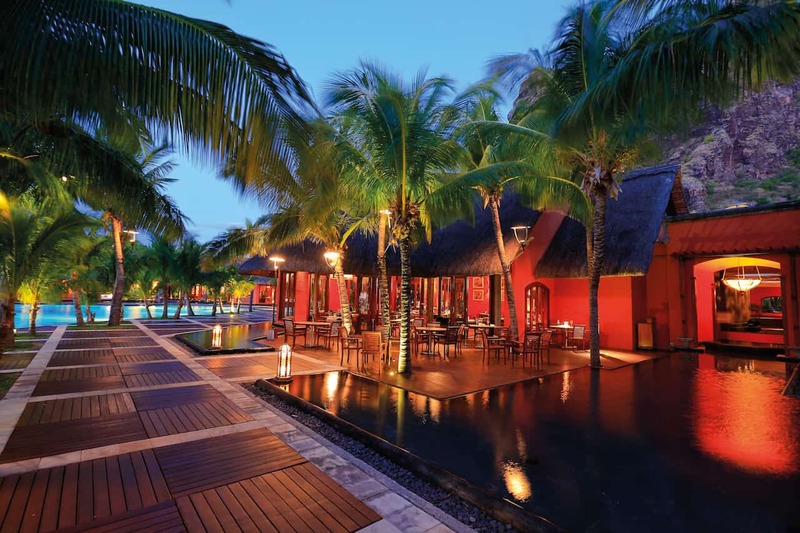 Who doesn’t dream of spending a few days at the most beautiful hotels on Mauritius? We visited 2 hotels on the island, played the best 5 golf courses and enjoyed the sunset in the evening. 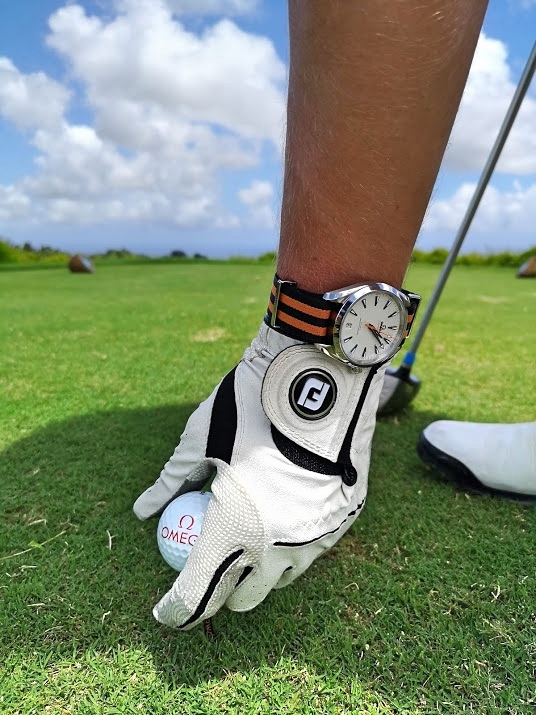 The week went by like a flash and from our point of view it is definitely one of the top destinations for golf trips. 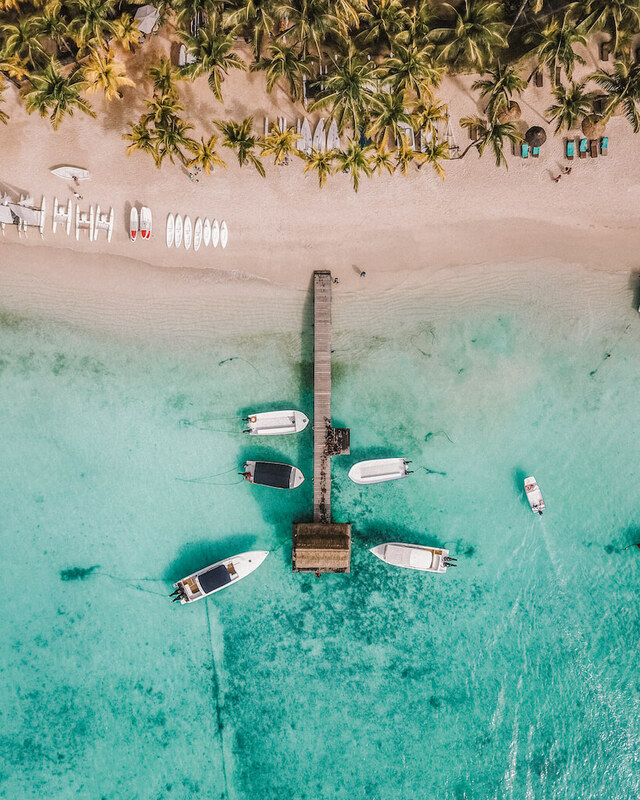 In the southwest of the Indian Ocean there is the 2000 km2 small island Mauritius, practically all destinations are reachable within one day trip. Since the 16th century, the island has been colonized by the Portuguese, Dutch, French and British. There is a pleasant multiculturalism on site, the inhabitants come from all over the world and still feel at home. As a tourist, one gets along with French or English accordingly well. 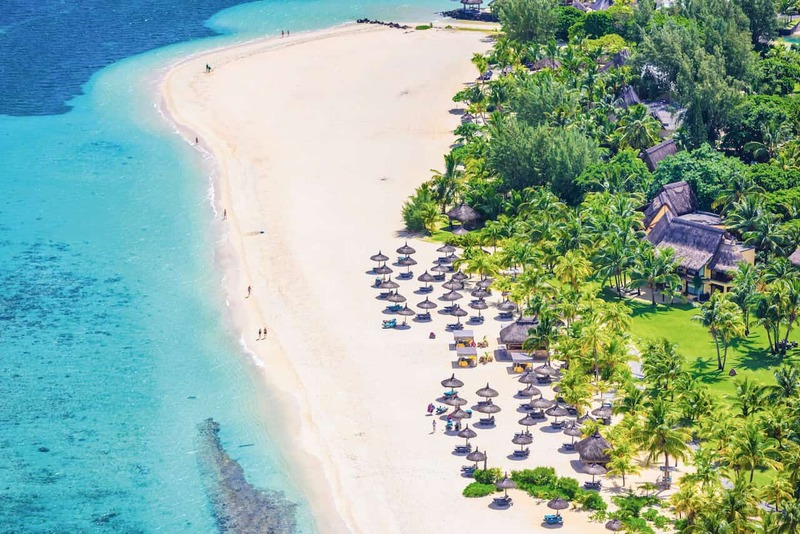 Those who plan their holiday and look for most beautiful the hotels on Mauritius, will sooner or later find the Beachcomber Hotels, as the hotels offer everything the heart desires. Of course, we will go a little bit more into the details later. 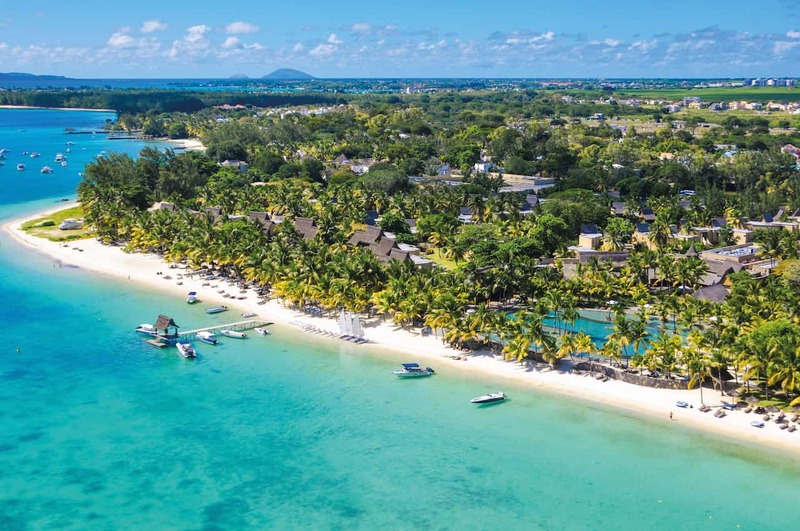 The Trou aux Biches is located in the north of the island and was the first destination of our trip to Mauritius. 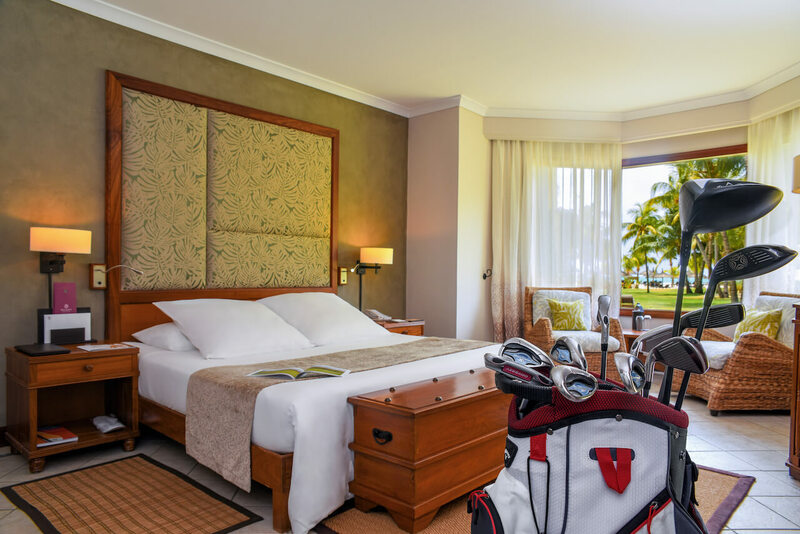 We were welcomed very friendly and warm-heartedly and drove seamlessly to the golf course – we liked it! 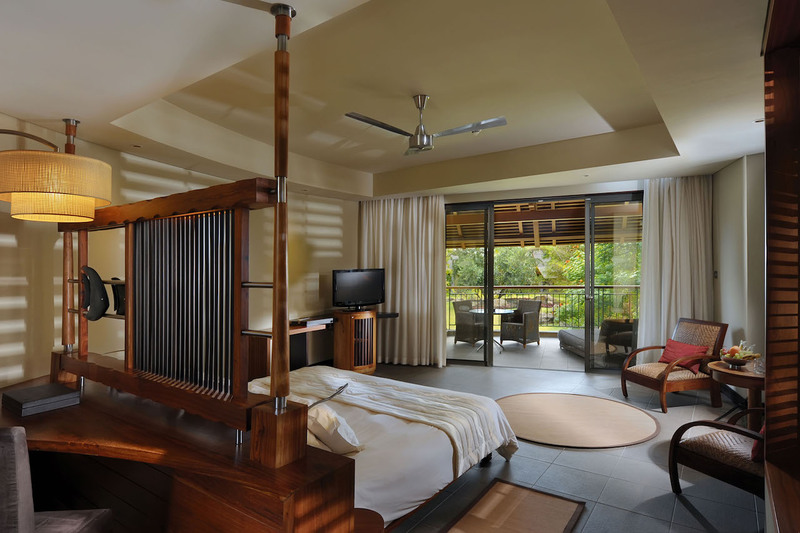 The spacious rooms are an absolute highlight of this hotel – high ceilings, large open showers, separate bathtubs, king-size beds or outdoor showers ensure a unique sense of well-being during your stay. The rooms are cleaned several times a day and clean rooms can be found at any time. 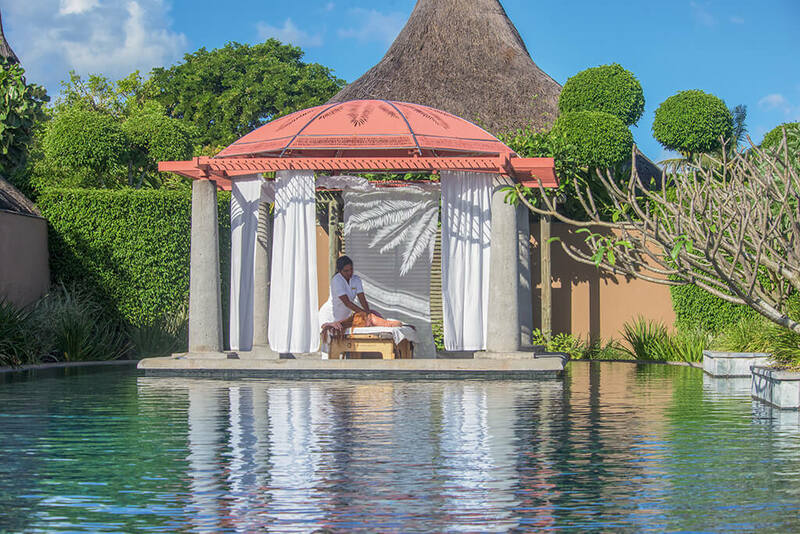 The wellness oasis covers almost 3000 m2 in the midst of tropical gardens, a wooden footbridge leads you past pools and ponds – a dream. The massages and treatments are the finest! Thai, Mediterranean, Italian or international cuisine – during a week’s holiday you can eat here every day in a different restaurant. 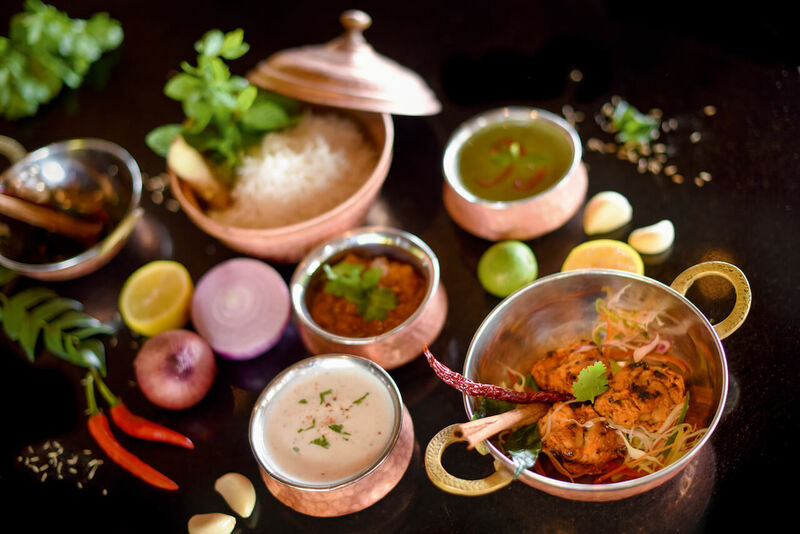 Our absolute top favourite is the Indian restaurant Mahiya which is very authentic and delicious. 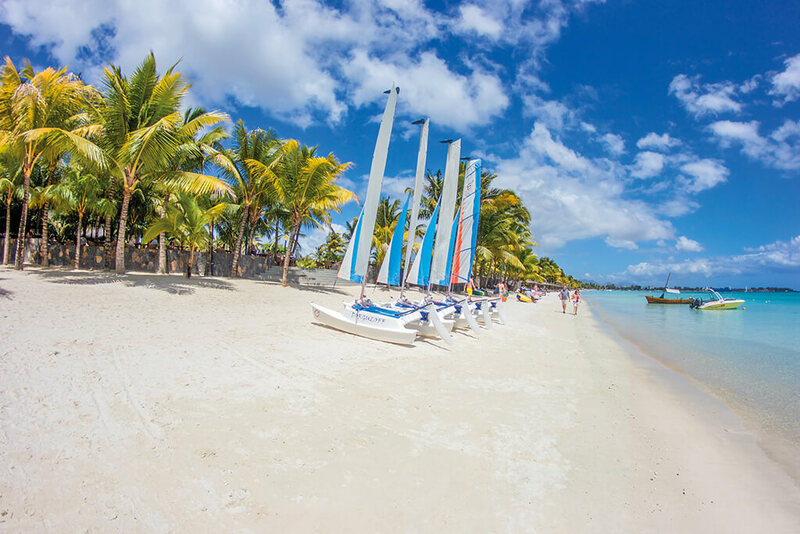 Mauritius is a wonderful place to play golf, otherwise there are numerous activities such as windsurfing, water skiing, diving, tennis, gym and much more. 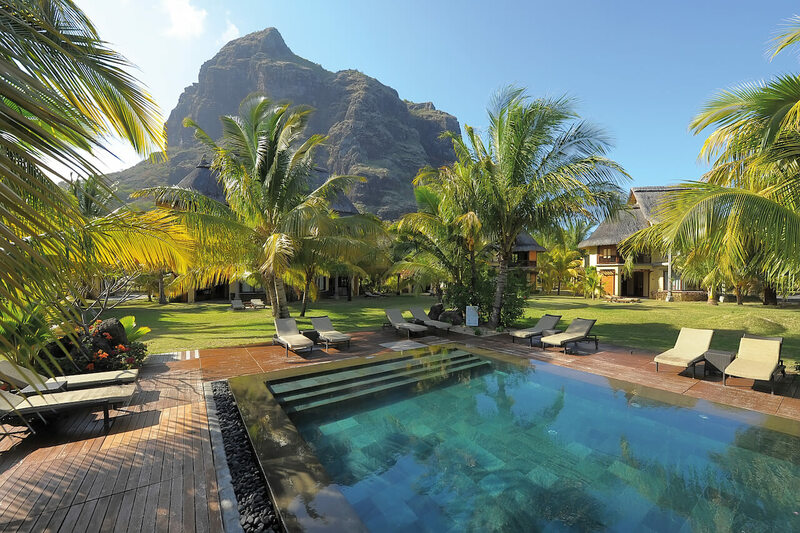 Southwest of the island lies the Dinarobin Beachcomber and is clearly one of the most spacious hotels we have ever seen. As the resort consists of almost 2 hotels, one needs a shuttle or a bike to have seen everything. We are very positively surprised that the size of the hotel does not bother much, since the resort is in no way overcrowded. 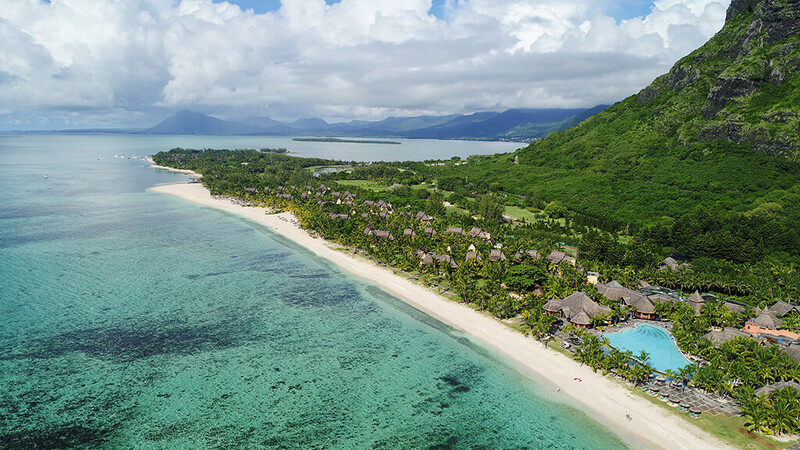 The hotel is located at the foot of the spectacular Le Morne mountain, which together with the beach and the golf course forms a fantastic scenery. We especially liked the golf suites, the golf caddy is parked in front of the door in the morning, then you drive straight to tee time. The course is wonderful to play and convinces with its spectacular scenery. In order to get an overview and to try all the restaurants, one could also stay 2 weeks at this wonderful place. We especially liked the Blue Marlin. The turquoise-blue water and the fine sandy beach is the perfect place to take a deep breath and let yourself drift with beautiful sunsets. 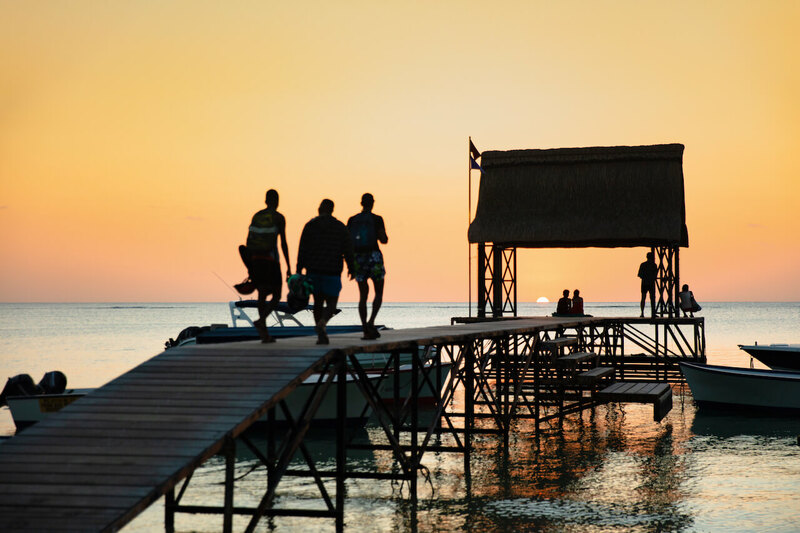 For sporty people there are numerous sports and leisure activities – whether on land or on the water.